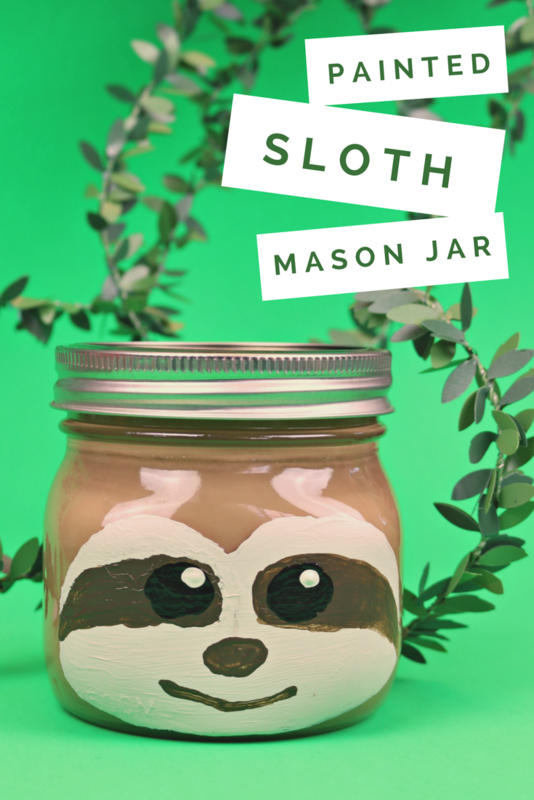 Do you have a sloth-lover in your life? 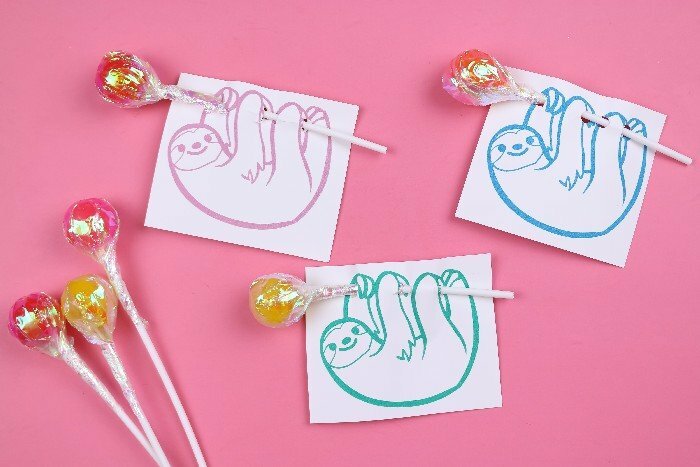 Show them some love this Valentine’s Day with an adorable hanging sloth lollipop valentine. 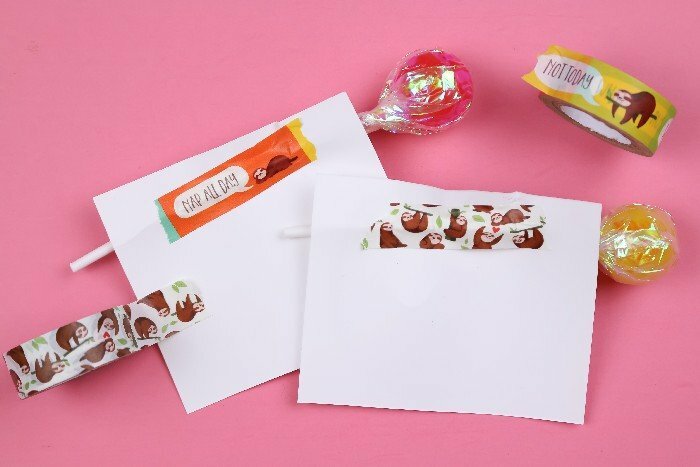 These DIY valentines are easy and inexpensive to make, and they will be sure to be a hit with your child’s classmates! Each printed sheet will make six valentines. 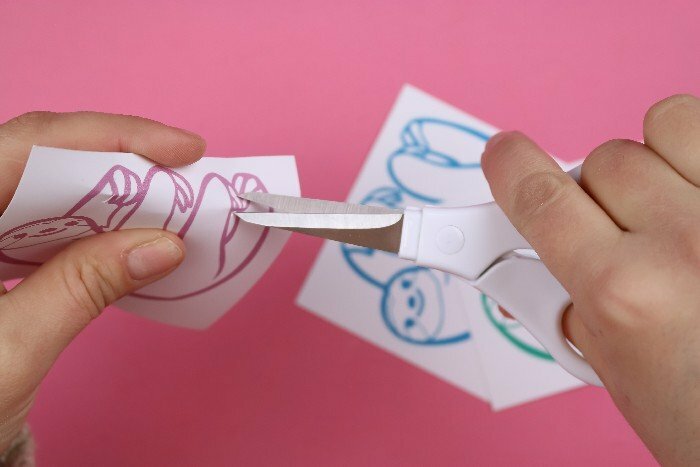 Use a paper trimmer or scissors to separate the cards. 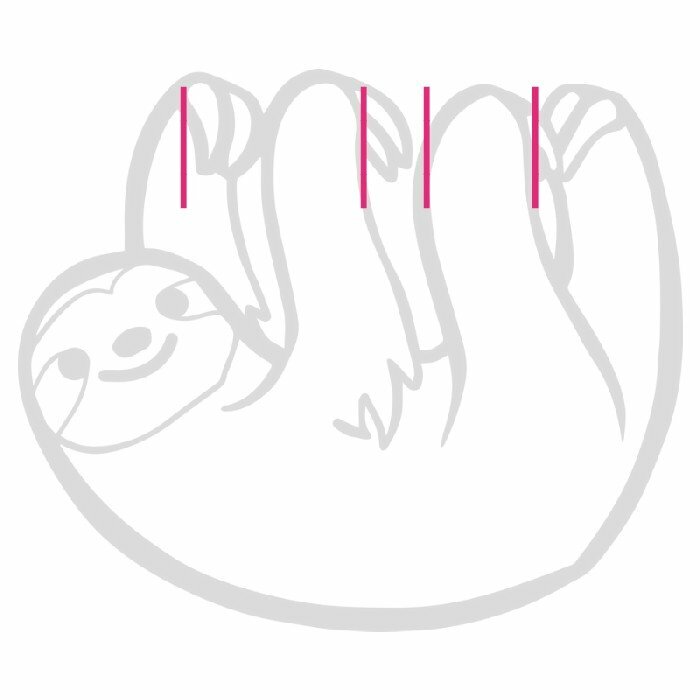 Use a pair of scissors or a craft knife to cut four slits into the card near the sloth’s hands. Check out the diagram above to see where the slits should be cut. I also tried using a hole punch to create circular openings instead of slits (see the blue sloth card below). While it made it easier to thread the lollipop stick through the card, I didn’t like having big visible holes in the final card. 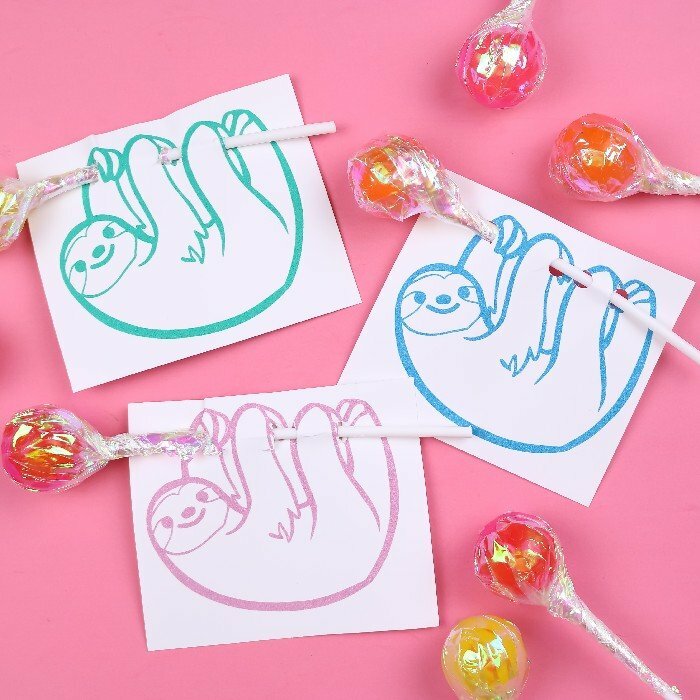 Thread the stick of the lollipop through the slits so that it looks like the sloth is hanging from the lollipop. Finally, secure the stick to the back of the card with a piece of tape. Any tape will work, but I obviously had to use my adorable sloth washi tape. You can leave the valentines as they are or you can add a special message to the back of each card. 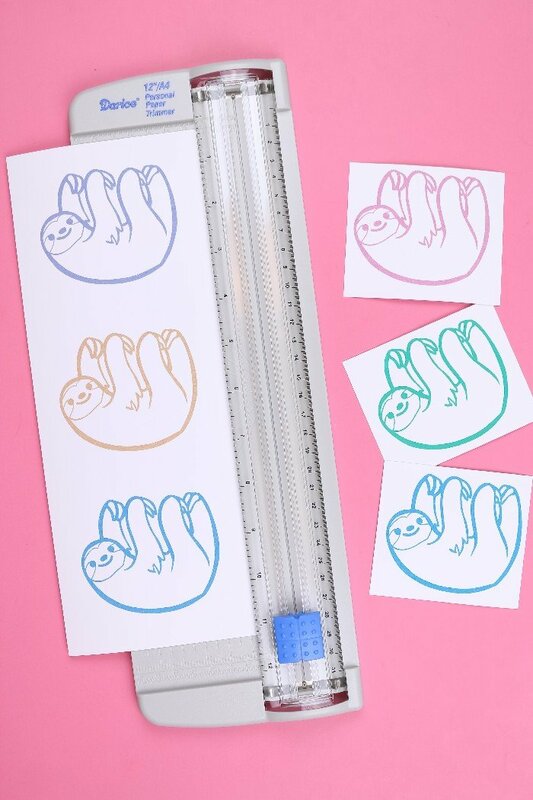 These would make sweet invitations to a sloth birthday party too! 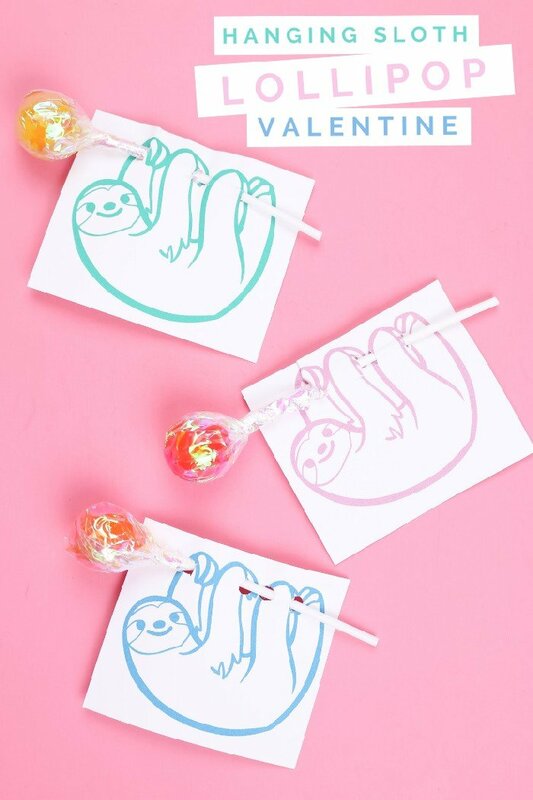 Use this free sloth valentine PDF to create your own cards. 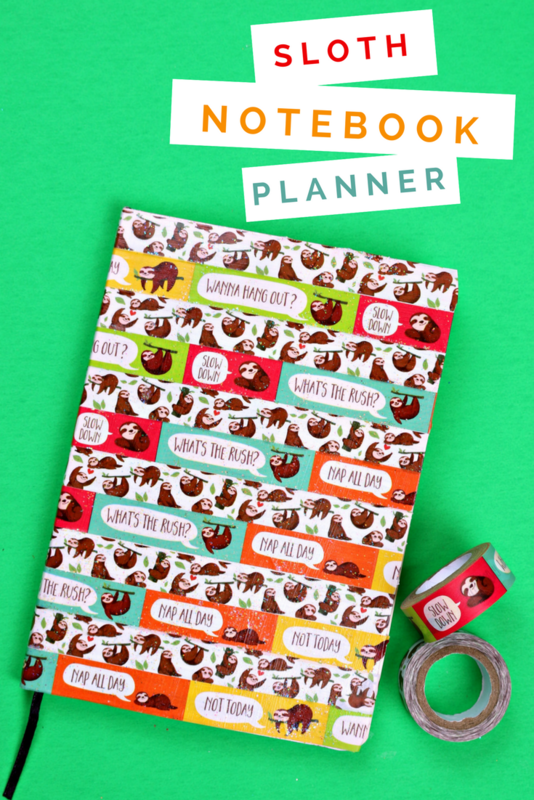 As always, my printables are free for non-commercial use! I found them at Dollar Tree!